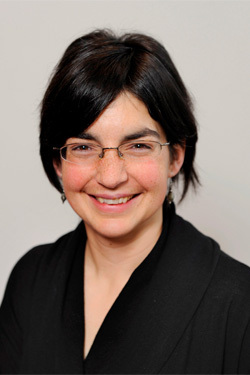 Prof. dr. Anna Hirsch studied Natural Sciences with a focus on Chemistry at the University of Cambridge and spent her third year at the Massachusetts Institute of Technology. Having performed her Master’s project in the group of Prof. S. V. Ley, she received a Ph.D. from the ETH Zurich in 2008, working in the group of Prof. F. Diederich on the development of the first inhibitors for an enzyme as novel antimalarials. After a postdoc in the group of Prof. Jean-Marie Lehn in Strasbourg, dealing with supramolecular chemistry and constitutionally dynamic chemistry, she took up her current position as professor for structure-based drug design at the University of Groningen in 2010. Her work focuses on rational approaches to drug design. Medicinal chemistry, anti-infectives, synthetic organic chemistry, dynamic combinatorial chemistry. Our lab at the University of Groningen (Stratingh Institute for Chemistry) currently hosts six PhD students, one postdoc and one Master’s student. The group is composed of members coming from all over the world (China, Spain, Turkey, The Netherlands, India…) with a range of different backgrounds (organic chemistry, pharmacy, analytical chemistry, medicinal chemistry) owing to the interdisciplinary nature of our research interests. The atmosphere in the lab is highly collaborative and the group members take the responsibility to run their project.